OZONE’s double-door coordinators sequence the closing to prevent damage to the door and other hardware, and enhance safety of users. The coordinators are fire-rated and available in satin chrome finish. Their smart built of forged brass with nylon roller makes them stronger and reliable. With non-handed and reversible feature, they sequence the door closing such that roller arm stops active door from closing before the inactive door. Closing of inactive door causes the strike plate on top to lift the arm and close the active door. 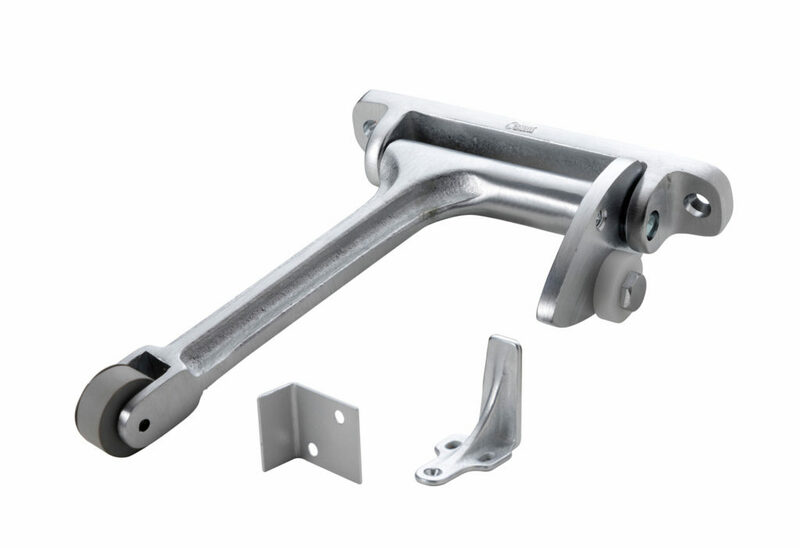 The gravity action arm and door bracket are adjustable on the jamb for easy installation. The nylon roller enables inactive door to operate silently. The coordinator is installed on rebated wooden double doors with 6½-inch thickness.